Mid-size pickup Toyota Tacoma is one of the most popular trucks around. With varying models, including one especially for off-roading, people from parents to those in need of hauling capacity are finding Toyota's truck the perfect fit. 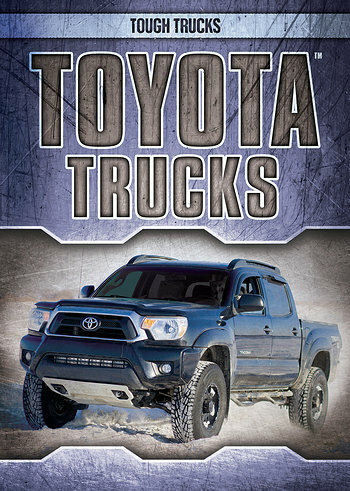 Readers of all levels can enjoy learning about the history of Toyota and their trucks in this book. Written in accessible language with reluctant readers in mind, the main content covers truck specs, fascinating facts, and the future of Toyota trucks on the road.